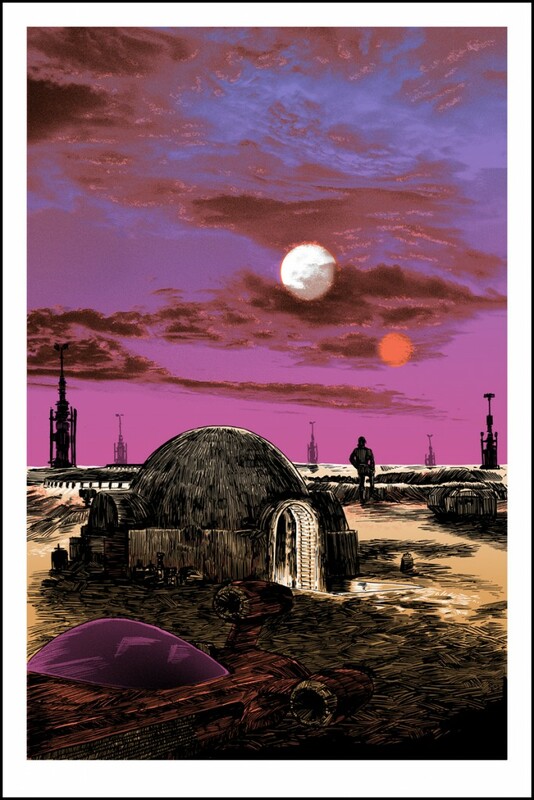 “SAGA” Print On Sale 7/23 at Noon Central Time! Artist Tim Doyle’s UnReal Estate: THE MOVIE show at SpokeArt comes to a close this weekend, but we have one final surprise print before it’s all over! 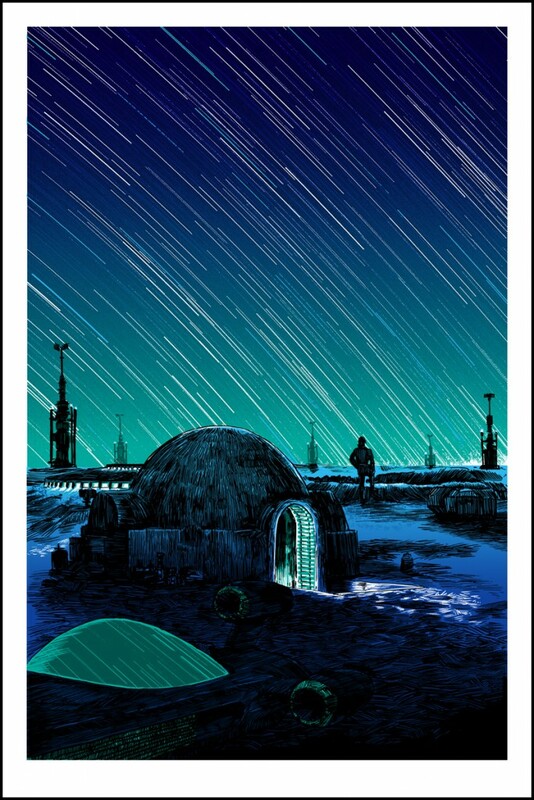 “Saga” is a 20×30 hand-printed silkscreen poster available in a day and night-time glow in the dark edition! The Day version ($50) is limited to 350 pieces, and the night-time ($60) to 175. Both will be signed and numbered by the artist. Prints will be available on the SpokeArt Website on 7/23 at NOON Central time, in the UnReal Estate section HERE. 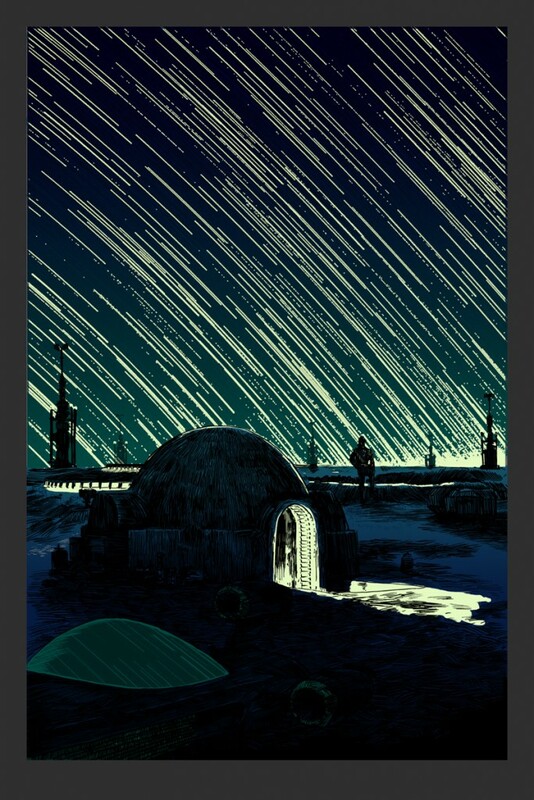 Production on these prints will begin at the Nakatomi Print Labs by the end of this week, and should be ready to ship to the gallery by the end of the month, and then on to the customers shortly after that! ← UnReal Estate: The Movie prints NOW ON SALE!